You’ve been in the cinema for half an hour, but something isn’t right. There’s an angry feeling in your stomach and your head hurts. Your popcorn tastes of disappointment. You’re watching a terrible movie. You can’t leave either. Your girlfriend/boyfriend really wants to watch it, and you don’t want to waste the tenner you spent on a ticket/DVD. This is easily the most annoying thing anyone can do during a movie, so make sure you do it constantly to ensure an early exit/DVD switch off. You get bonus points if your suggestions make no sense (i.e. predicting that Channing Tatum will turn into a dragon and liberate Tibet at the end of Dear John – oops, spoiler alert!). Bear in mind that whoever you’re watching with will probably hate you for a little while. You’re sat in front of a terrible movie, hating life. What do you do? Easy. Imagine you’re watching something you like. Using the human brain’s wonderful daydreaming feature, you can replay your favourite film in your mind as you watch a terrible film*. Just remember to sneak off and read the bad film’s Wikipedia page so you’re ready for post-film conversation. *results may vary depending on how well you know the film and how distracting you find bad movies. Bad movies are a health risk. Not only do they bore us, but they make us sad, angry, depressed, anxious and willing to do extreme things to escape from the situation (i.e. jumping out of the window, shouting ‘FIRE!’ in the middle of a crowded cinema). Luckily, the threat bad movies pose to our health causes our survival instinct to kick in, as evidenced by the amount of drinking games bad movies have inspired. Next time you find yourself in front of a bad movie, try and invent your own game. The time you spend coming up with rules and regulations will make the movie seem half as long. Be warned though: if your game catches on with your friends, you’re going to have to watch the movie a lot. Remember not to make it too good! Here’s a bit of inspiration from Total Film. Well, it works in cartoons, doesn’t it? Turn to your partner, tell them you’re not enjoying the film and that you’d rather do something else. …nah, that sounds too rational. Nothing ruins a film quite like distractions. Turn your phone on loud and tell your friends to constantly call you. Encourage your neighbours to throw an impromptu rave. Tell your mum you haven’t eaten properly so that she calls you constantly during the film. If you’re at home, the distractions should ruin the film enough to put the DVD off. 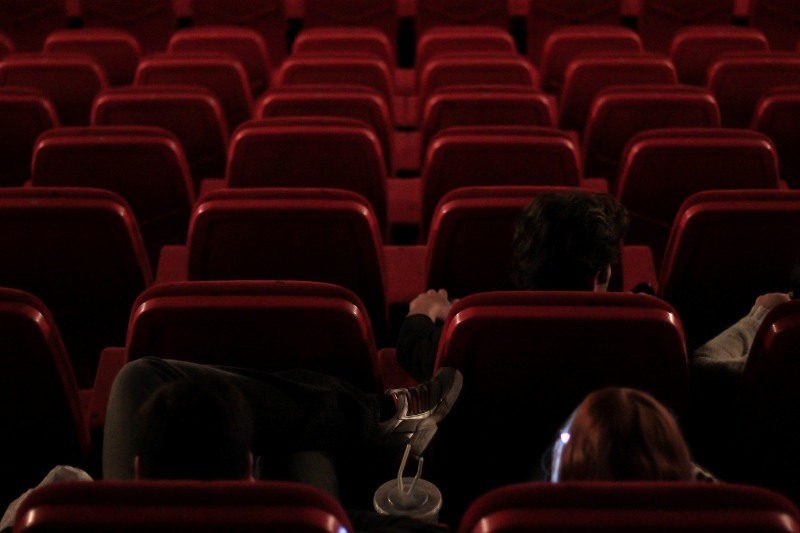 If you’re at the cinema, you’ll get kicked out (and probably banned). Sit tight, grit your teeth and endure the film. You’ll hate yourself for it, but it’ll make you a stronger person. You’ll also appreciate the films you do like a whole lot more…if you’re not too traumatised to ever watch a film again. What crazy methods have you used to get out of a bad movie? Share your stories with us on Facebook and Twitter!